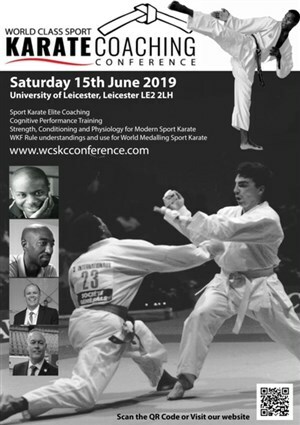 The BCKA was formed in 2011, a spin off from the British Combat Association (BCA) to provide a ‘home’ for those Instructors and Clubs that are still involved in mainstream Karate. The founders of the BCA, Peter Consterdine and Geoff Thompson are at heart Karateka and never lost their appreciation of the great foundation Karate gave them, and on which they built their own unique combat systems. The BCKA mirrors the key principles upon which the BCA has been very succesfully built - no politics, a great administration service, immediate help and support, an understanding of the need for change and growth and, above all else, a network of friendly, like minded people for whom Karate has been life enhancing. "All those clubs and groups that have felt isolated and ignored within the large traditional groups are now able to find a ‘home’ with an Association that understands and encourages all aspects of traditional and modern Karate." Read the Testimonials throughout the site to see what our Instructors think of us. We are, we believe, the friendliest martial arts group in the UK, with some of the best resources and administration. The BCKA and BCKA Scotland are members, respectively of the English Karate Federation (EKF) and the Scottish Karate Governing Body (SKGB), and ultimately aligned with the World Karate Federation (WKF) to whom the Olympic Committee has awarded the sport of Karate in the 2020 Tokyo Olympics. “I've had a very good experience of being in the BCKA. First of all, we get a lot of autonomy to set our own syllabus and approach to training, though they do ratify the syllabus to make sure it's robust. Secondly, they've been good at supporting all my events and promoting it to entire membership. Previous associations I've been with primarily looked after the top guys only, whereas the BCKA support all their members at all levels. Thirdly, the admin is super efficient and very responsive and helpful. Q. If I join my club can we keep our existing syllabus? By all means. Many clubs that come into membership come from very traditional, ‘style’ organisation don’t want to create more change for students. In the fullness of time Instructors may, however, look to broaden their syllabus and we will be there to help with the process, if asked. The majority of clubs come to us so they can have freedom to grow. Q. What happens with gradings? We expect Instructors to carry out their own gradings and we have no interest, financially, or otherwise in this process. If an Instructor feels a ‘panel’ grading for the students is best then we are happy he/she finds another appropriate Dan grade to sit on the panel and if that is a problem we can usually find someone within the BCKA to help. Q. What help is available for broadening our syllabus? As we explained earlier, whenever an Instructor feels ready to broaden the scope of the grading and teaching syllabus then we can help, and to the extent of officially approving the syllabus. This is a gradual process and however long it takes we are there to support the process. Q. How do I grade as an Instructor? Q. Is the BCKA a member of a governing body? 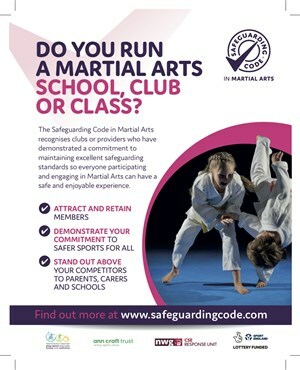 In England there is no Karate organisation at the moment that is recognised by the Sport & Recreation Alliance and Sport England due to the political ‘splits’ and competing organisations. We are members of the English Karate Federation (EKF), the governing body in England for the World Karate Federation (WKF) chosen by the IOC for Karate in the Tokyo 2020 Olympics. In Scotland, BCKA Scotland is a member of the Scottish karate Governing Body (SKGB) governing body for Scotland. You will have as much or as little contact with us as you want. As we have a ‘light touch’ management we leave clubs to get on with what they want to do without interfering, but we are always available to help with any matter that’s of concern, or is to do with development and growth. We are the ‘agony aunts’ of the Karate world...!